LML Owners Club Great Britain - Forums • View topic - Drum brake hub on a disc brake? If so what, if any, problems should I be looking out for? Re: Drum brake hub on a disc brake? My 2009 lml star has the drum with disc, vespa only had drum or disc, so my scooter looks old school with disc at rear of drum.i think you need to see what bearing size your fitting is. Try phoning your lml dealer and see if it is a straight swap. I hope you were not thinking of returning to a drum brake! I have not fond memories of those, deadly over 40 mph in emergency. You can pick up forks on e bay. Rob. Thanks for the advice. Defo not going back to the drum brake, just looking for the vintage look and wondering if anyone else has managed this. Is this what I'm looking for? Boris29 wrote: Thanks for the advice. Defo not going back to the drum brake, just looking for the vintage look and wondering if anyone else has managed this. Is this what I'm looking for? That is the one you are looking for.....comes with bearings....a straight exchange with no additional parts required. Good advice. Cheers Rob... much appreciated. Yep,I swapped mine the other way its a straight swap. Boris,have you swapped the hubs yet ? I have someone who is interested in buying the one you take off. 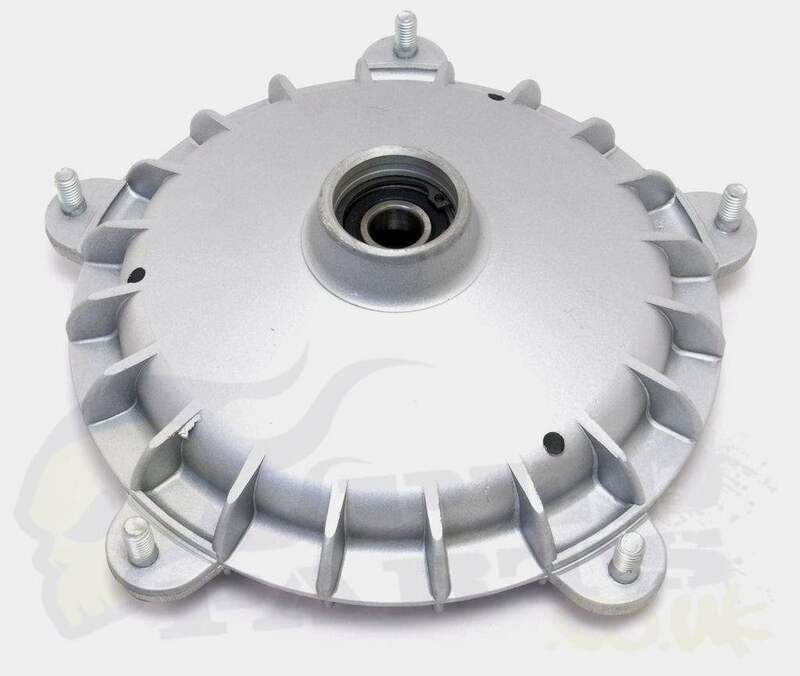 Is it actually a drum brake clone that could be used as a drum brake or is it just made to look similar. If the former, perhaps a genuine drum could be used, albeit without shoes.